What is Adrafinil and How Does it Work? Adrafinil is a nootropic substance with stimulant properties discovered in the late 70s by a group of French scientists. Once ingested, adrafinil converts into modafinil; however, it does so by way of the liver. Individuals can supplement Modafinil directly, but this requires a prescription. Because of this, many choose to supplement with Adrafinil as it is easier to obtain, even though it may come with a dangerous cost to the liver. 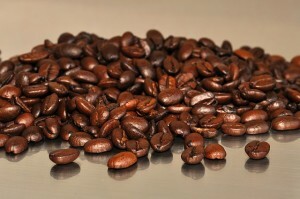 Adrafinil is commonly used to boost wakefulness and reduce excessive tiredness. It also increases hypocretin levels, a neurotransmitter that affects alertness and also causes increased production of dopamine. Taking adrafinil stimulates the central nervous system, which causes an increased level of alertness without the jitters associated with other stimulants. Those who supplement with adrafinil often do so because they have problems staying awake, or have careers that require extra alertness such as shift workers, surgeons, etc. It is often prescribed to the elderly and those with sleep disorders, and has been used by truck drivers to overcome mental fatigue. Adrafinil is popular for one simple reason: it works well. It’s effects are long-lasting, and clinical trials have shown no decrease in effectiveness over time . This undoubtedly makes it an ideal choice for anyone looking to increase their attentiveness and mental function with an easy-to-take and readily available supplement. Unfortunately, some findings do show that constant use of this supplement may lead to liver damage over extended periods of time. The reason for this possible side effect is due to the breakdown of adrafinil into modafinil, a process that occurs in the liver, which causes an increase in liver enzyme levels. While small amounts of the supplement are not shown to cause this type of injury, consistent habitual use can lead to liver toxicity and cause permanent damage. Knowing this, it is advised that adrafinil be taken with caution due to its concentrated and powerful nature. Therefore, long-term or day-to-day use is definitely not recommended with this particular supplement. By design, the liver needs time to recover from increased enzyme levels, and over-use of adrafinil does not allow a recovery period. Milk thistle can help detox your liver. Adrafinil should only be taken at the recommended dosage, 150 to 300 milligrams per day. However, it should not be taken on a daily basis, and should not be used for a period lasting more than 6 months, at least not without cycling on and off to allow the liver much needed recovery time. Individuals who wish to extend their adrafinil usage can help their liver recover by taking supplements known to boost liver health. Unfortunately, the liver issues caused by overuse cannot be avoided, only treated. 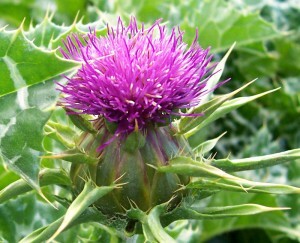 Milk thistle supplements are an excellent option as they help to protect and detoxify the liver [2, 3]. However, for those who would rather avoid the risks of adrafinil, there is another nootropic supplement available to increase wakefulness that comes without the liver damage: Phenylpiracetam. When used correctly, phenylpiracetam can be just as effective as adrafinil. Phenylpiracetam, an analog of piracetam, is a newcomer for the racetam family, but it is already soaring in popularity. Not only that, many individuals on Reddit feel Phenylpiracetam’s stimulant and wakefulness enhancing properties are much stronger than adrafinil. Like adrafinil, phenylpiracetam is available over the counter. Individuals should take 100-200mg of phenylpiracetam 2-3 times a day. Phenylpiracetam works best when taken on an as-needed basis rather than daily.